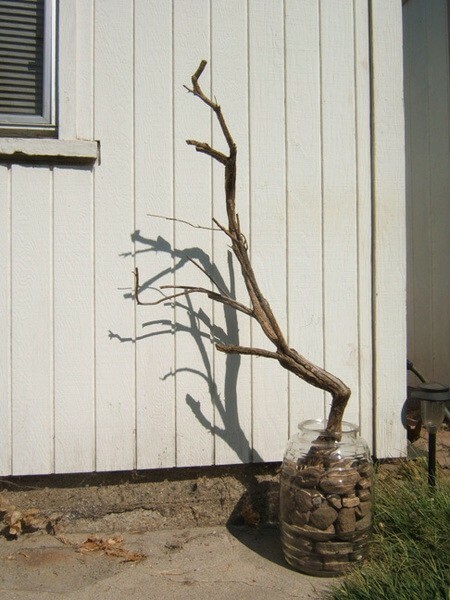 I grabbed a big giant glass jar and filled it with rocks from the yard. Also from the yard, a big dead branch. 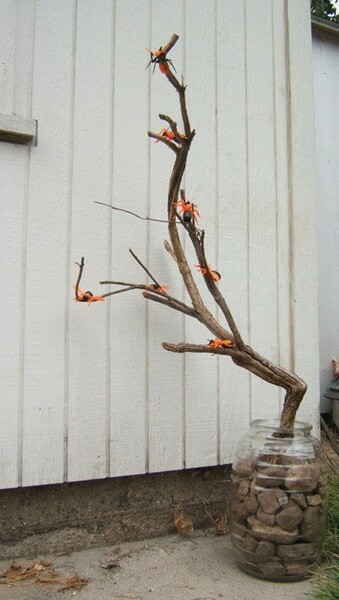 I couldn't leave it alone, I added fun little Halloween bugs to the branches. They simply nestled into the branches. wow what an idea! i love halloween. You can do alot with such a simple idea. Like spray paint the branch black, add some goulish lights spiders omg the list goes on! yayaya for halloween!